Our firm is a leading name, involved in providing a comprehensive series of Wall Panel. Gypsum Wall Panel is an ultra-realistic stone finish that mimics the surface textures and characteristics of a real stone floor. These Wall Panel is excellent in finishing and presented to patrons in damage free mode. Moreover to this, these presented Panel are reliable in nature and easy to place. Quality checked input is used for the manufacturing of these panel boards of optimal size. Supported with rich industry experience, we are engaged in providing a high qualitative range of Wall Panel. 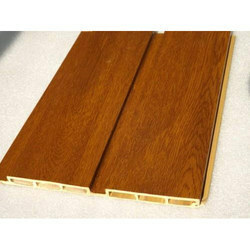 Our company is one of the best companies in offering a wide range of high-quality Modern Wall Panels.